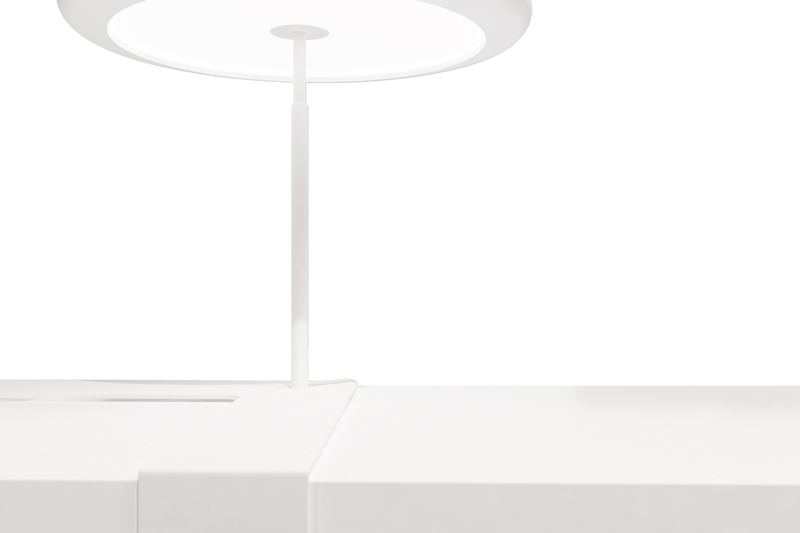 GIFT, the corner lamp designed by DINN! Innovating the way to integrate a product design with the surrounding space. Prandina needed an intriguing product to complete the range of products for hotels. DINN! built his own personality with the Prandina style and philosophy to create something new. Prandina, one of the most renowned and prestigious Italian lighting brand, has a great handicraft and industrial skills, especially in glass processing (it follows technical development and product realization). It collaborates with leading international designers. It asked us to design a new distinctive lamp, different from the usual lamps that you find in hotels. A lamp versatile enough to co-ordinate with various styles of furniture and spaces by innovating the way of integrate its products with the surrounding context. Giving the chance (to the person) to think about where to place it in order to create the right affinity with the environment. We really appreciate the wonderful job and the way of collaboration of DINN! in this new project. As well as in the SOLO project, in which our products have been valued at their best, we created something distinctive and innovative in the table lamps field. The collection is going to be further developed with the introduction of different colours, a new round base and a floor version. Marco Andretta, Marketing Director at Prandina. Presented as world premiere at Salone del Mobile 2016 in Milan, GIFT is a lamp designed to be placed on the corners of tables, shelves or bedside tables. 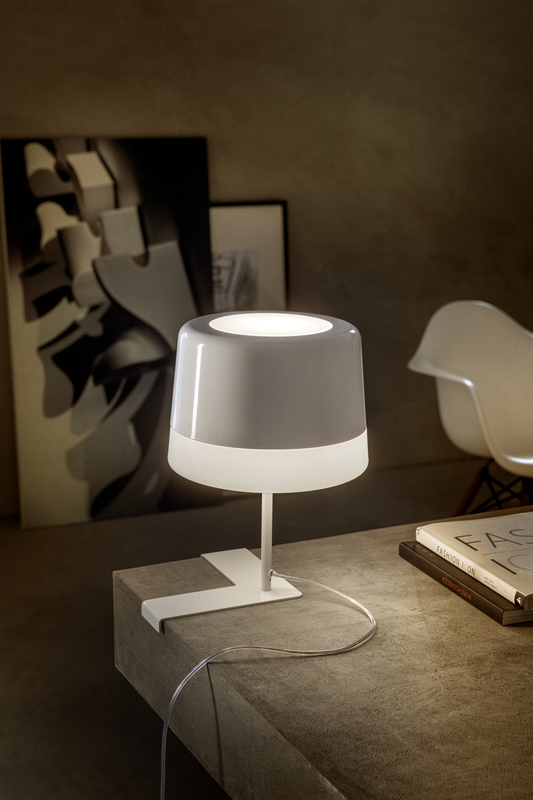 Its unique design allows the lamp to merge with the style of the furniture on which it is placed. GIFT is a new lamp designed “to think” because it implies the need to reflect about the appropriate place in which arrange it by creating a strong affinity with the environment. Andrea Borsetto, Chief Creative at DINN! GIFT, not just because is an original gift idea. Like a bow embracing a gift box, the corner lamp wraps the furniture on which it is placed on by building a relationship between the product and the environment. Placing the lamp on over any furniture, it creates a graphic element which can be also used for storing personal belongings when emptying your pockets. 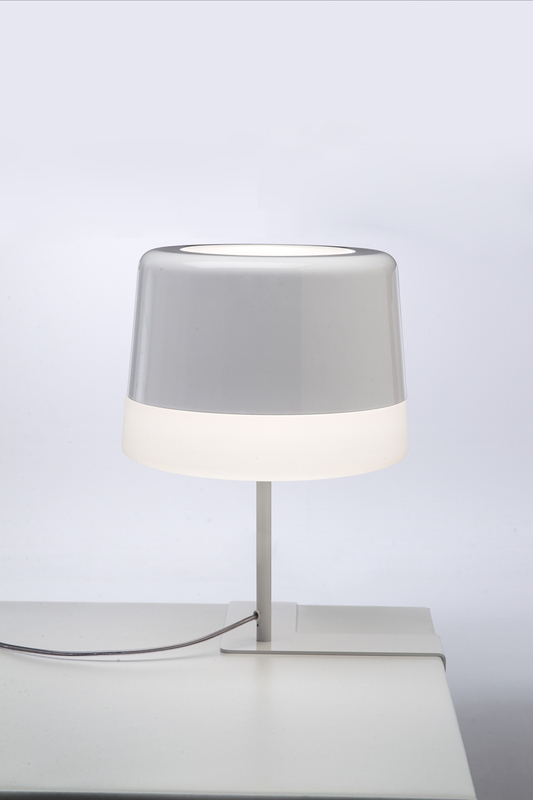 White metal base with a diffuser in opal white roto-moulded polyethylene with a shade in white painted steel. — A memo element for all everyday objects. More details about the whole collection coming soon. When product design meets wine culture, it is born a wine chair.